the Dead Sea is the lowest point on the Earth. I've been a couple of times. the first time was late afternoon so there was a beautiful sunset behind the mountains. 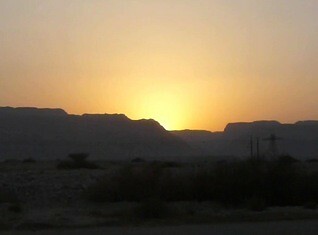 these mountains are not far from Qumran where the Dead Sea Scrolls were discovered.